• HP dv7-1245dx AMD Dual-Core 2.1 GHz 17" 4GB RAM 320GB HD HDMI Notebook (Refurbished) for $549.99 (normally $700 - valid today only). • Asus Eee PC 900 4GB SSD 512MB RAM Netbook (Refurbished) for $179.99 (normally $300 - valid today only). • Dell SE198WFP 19 inch Wide-screen Flat Panel LCD Monitor for $92.07 plus free shipping (normally $150. Discount applied when adding to cart). • Hitachi Travelstar 7K320 320GB 2.5" SATA II 7200RPM Notebook Hard Drive for $49.99 plus free shipping (normally $70 - valid until 3/28). • Hitachi H31000US 1TB External Hard Drive for $94.99 plus free shipping (normally $115 - vaild until 4/12. Use rebate form). • OCZ OCZSSD2-1VTX30G 2.5" 30GB SATA II SSD for $83 plus free shipping (normally $150 - valid until 3/25. Use rebate form and coupon code EMCLPMX37 for $25 off). • 2TB My Book Studio Edition II External Hard Drive for $229.95 plus free shipping (normally $270). • SanDisk 8GB Cruzer Micro Flash Drive for $14.99 plus free shipping (normally $20). • Logitech Driving Force GT Wheel for PS2/PS3 for $69.99 plus free shipping (normally $110 - valid until 3/23. Use rebate form). • Xbox 360 Wireless Racing Wheel for $69.99 plus free shipping (normally $100). • DeLonghi BCO130T Coffee & Espresso Machine for $133.91 plus free shipping (normally $150). • Weber 586002 Q-320 Portable Outdoor Gas Grill for $299 plus free shipping (normally $380). • JVC 42" LT42X579 1080p LCD HDTV for $799.99 (normally $1,000). • Sony 40" KDL40V4100 1080p LCD HDTV for $849 (normally $1,000. Use coupon code 7$$?5R37?6DHMQ for $450 off). 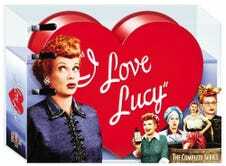 • I Love Lucy: The Complete Series DVD for $84.99 plus free shipping (normally $190 - valid today only). • Pentax Optio A40 12MP Digital Camera for $104.99 plus free shipping (normally $215). • Sandisk Sansa e250 2GB MP3 Player (Reconditioned) for $24.99 plus free shipping (normally $40). • Sonic Impact IP22 Portable iPod & MP3 Speaker System for $9.99 (normally $50 - valid today only). • jFirewall Personal Pro Software for $0 (normally $29 - valid today only). • Gain Detergent Sample for $0. • Sephora Naturally Gorgeous Sample Bag for $0 (valid 3/21 only at Sephora from noon to 6 pm. Must be a Beauty Insider, sign up is free). • Caribbean Travel & Life Magazine One-Year Subscription for $0. • American Photo Magazine One-Year Subscription for $0. • Little People DVD for $0 (valid 3/21 only at Toys R' Us from noon to 2 pm). • 2009 Franklin Covey Planner for $0 (valid 3/21 only. Must be laid off and provide your last employer, supervisor, and the date you were let go). • Magic: The Gathering Deck for $0.